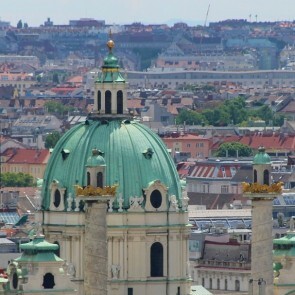 In the prosperous district of Landstraße, also known as the 3rd district of Vienna, you will find embassies in elegant palaces as well as the baroque palaces of the Upper and Lower Belvedere, which are connected by a French garden with picturesque views. In the Upper Belvedere you can see Klimt's famous painting The Kiss. At the traffic intersection Wien Mitte lies the chic shopping center The Mall. The City Airport Train, shortened CAT, which commutes between Vienna Airport and Wien Mitte Station without intermediate stops also arrives here. The Hundertwasserhaus is a colorful residential building named after it’s architect; his works are exhibited in the Kunst Haus Wien. 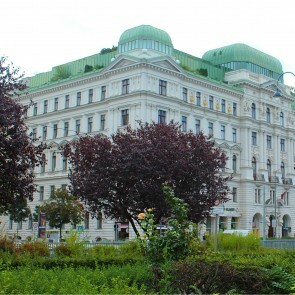 Museums in Landstraße include the KunstHausWien (also designed by Hundertwasser) and the Museum of Art Fakes. The St. Marx Cemetery in Landstraße contains the grave of Wolfgang Amadeus Mozart. 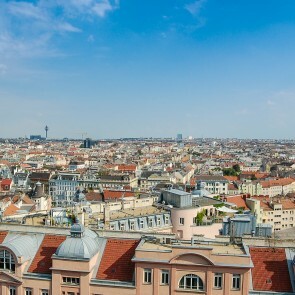 Landstraße is a heavily populated urban area with many workers and residential homes, that makes it a frequent first choice for newcomers who seek for the lively areas of the city.